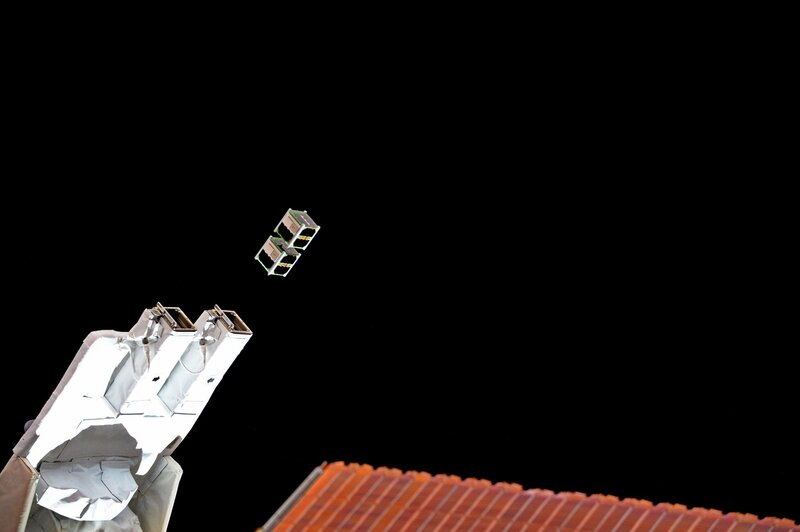 On Friday, July 7, 2017 five CubeSats carrying amateur radio payloads were deployed from the Japanese Kibo module on the International Space Station. Another great example of International Cooperation today on @Space_Station –launched 5 micro-satellites from 5 countries off the JAXA arm! The BIRDS-1 constellation consists of five 1U CubeSats (BIRD-B, BIRD-J, BIRD-G, BIRD-M and BIRD-N). They launched to the ISS on a SpaceX Falcon 9 CRS-11 on June 3, 2017. The satellites are made of the exactly same design and use the same amateur radio frequency. The main mission of the constellation is to do experiments on radio communication with a CubeSat constellation via a network of UHF/VHF amateur radio ground stations all over the world. The challenge is to distinguish each satellite from the others sharing the same transmit frequency, hand over operation of a satellite from one ground station to another and assemble the satellite data, such as housekeeping telemetry, music and the Earth images, obtained at different ground stations. Amateur radio enthusiasts are asked to join the network to assist in the data downlink and reconstruction of the patchy satellite data into one meaningful data. Orbit information and operational plan of each satellite will be made available to the amateur radio community in the world. Software to decode the satellite data will be also made available. The respective amateur ground stations that can successfully decode the telemetry data, music and the Earth images, shall receive a QSL card from the BIRDS team. The data reconstructed by the effort of the amateur ground station network will be made public to share the sense of satisfaction and achievement. A particularly interesting mission of BIRDS project is the SNG mission that exchanges music via a digi-singer. It is an outreach-oriented mission. First, music in MIDI format is uploaded from ground. Then the MIDI file is processed on-board using a vocal synthesizer. Finally, the processed music is sent back to Earth using UHF antenna as voice FM data. During organized events on space utilization with schools or general public, music could be heard using a common hand-held receiver and hand-made Yagi antenna positioned to track the satellite at each given pass over the region. 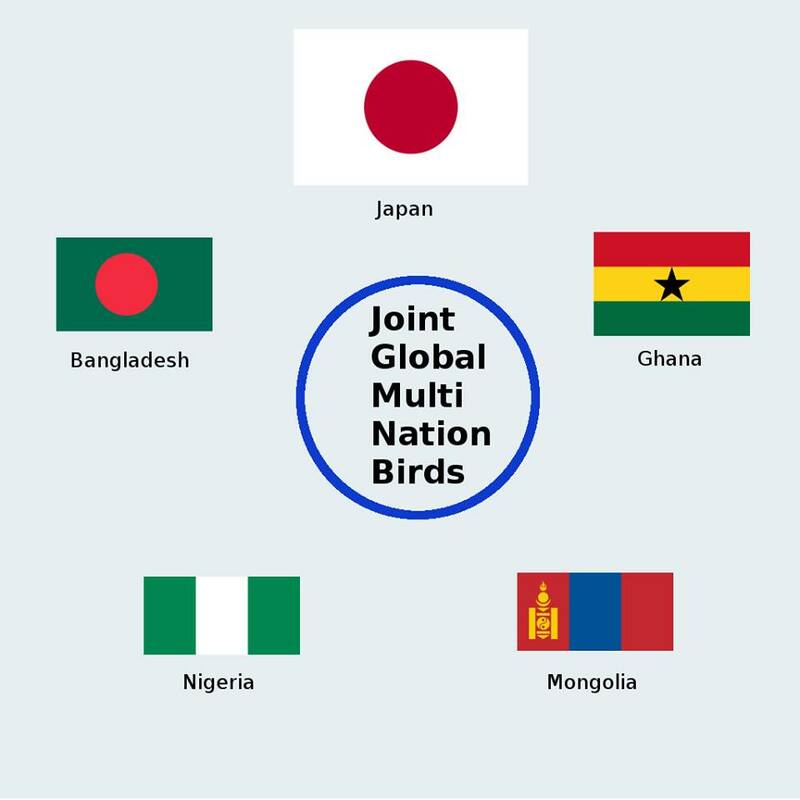 This has a tremendous effect on awareness of radio communication among school children and general public, especially in the countries participating in the BIRDS project, Japan, Ghana, Mongolia, Nigeria and Bangladesh. The satellites transmit CW on 437.372 MHz and 9k6 FSK, 1k2 AFSK FM, audio FM and 9k6 GMSK downlinks on 437.375 MHz. A QSL is issued for a reception report. Please check the BIRDS web site.